The last time we were in Vegas, Aaron got me one of these fancy shmancy lollipops at Sugar Factory. It is very cute, but what I really like is the protective snap cover. 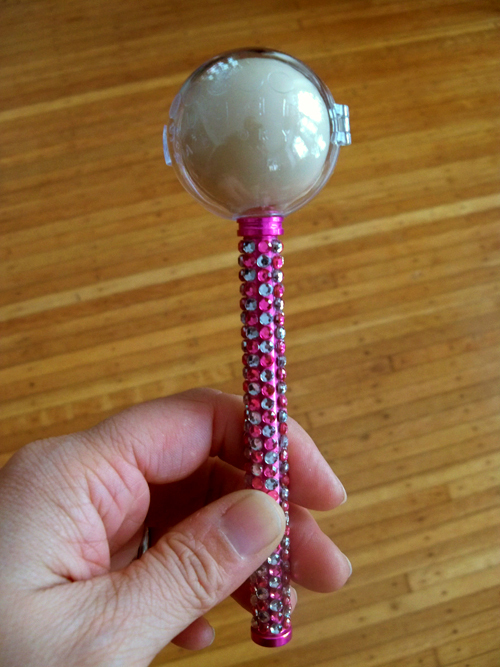 So convenient for enjoying your lollipop off and on without getting cat hair stuck to it. Just sayin'. I wish there were a like option for blog posts. LOL! Can you replace the lollipop for future use? That is really cool.